In 2017 technology will support and drive innovation more than ever, this is no secret that technological advancements can allow professionals to create higher quality goods faster than before, with less expense and more efficient operations to become more competitive. A recent study by EY Sweeney highlights the momentum with which Australia’s digital transformation is occurring. Australia’s economy is becoming increasingly digital, with 81% of Australians owning a smartphone and 38% stating they would rather conduct transactions over the internet. The bar for service standards is steadily rising as consumers expect this level of convenience in every aspect of their lives. So why should the conveyancing process be rooted in paper transactions? Consisting of of VOI (Verification of Identity) > title search & property certificates > contract > signing > exchange > settlement – you can complete any part of the process electronically which means you’re engaging in electronic conveyancing. The process is flexible – you can mix and match paper and electronic conveyancing in whatever way works best for your practice. In NSW, Claire Martin completed the first paperless conveyance of a residential property in June 2016, followed soon after by First Class Legal in Victoria in early 2017. 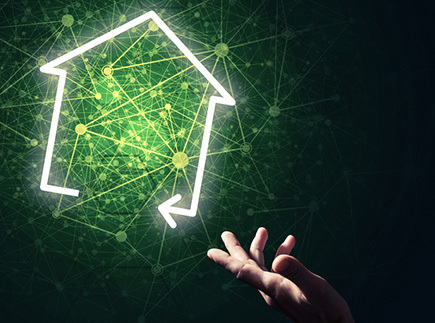 State Governments are implementing measures to accelerate this shift to eConveyancing. When it comes to legal processes, security is inevitably one of the biggest concerns for all parties. According to the EY Sweeney survey, 97% of Australian consumers feel that transaction security is a key component of a digital experience. Electronic signature tools make a secure link to the document is sent via email and can only be accessed through that email, providing the extra security of an email password for access. These tools track metadata behind each signature to verify time, place, and IP address which can provide evidence as to who signed, on which device and where in the world. Using eCOS, there is just one true electronic copy of the contract – no counterparts to deal with. Everyone signs the one electronic document making it so much easier and more secure. Going digital not only saves paper, printing and post costs but significant amounts of time. With everything online there’s no printing, collating, scanning or posting to deal with. Depending on the size of the project you can save hours to weeks. The truth in this new reality is the opportunity of adapting services that better suit the client’s needs. This means finding ways to provide faster service that is simple, efficient, transparent and cost-effective. In the end, a big part of getting digital right is understanding customer expectations and finding the right solutions to meet their needs which is where you can make eConveyancing work for your company in 2017.